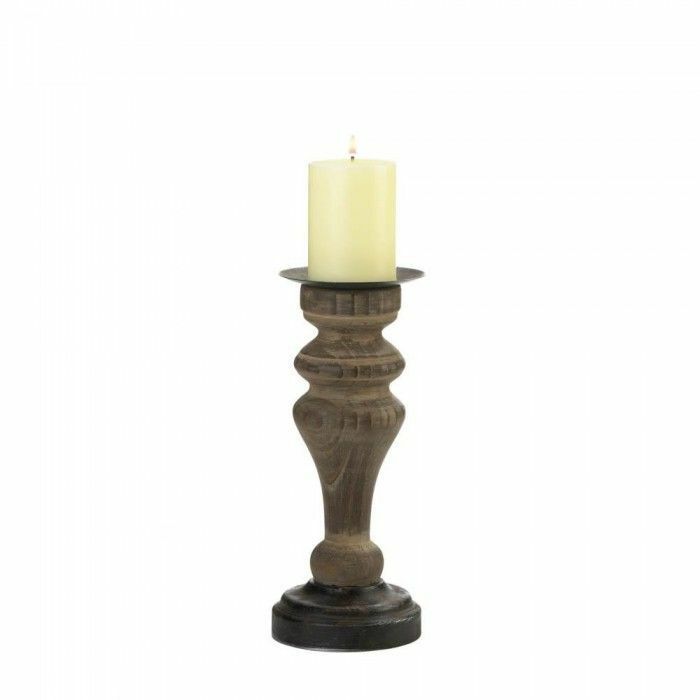 Give your decor an antique feel with this wooden column candleholder. Reminiscent of the 19th century, the wooden candleholder is carved from solid fir wood into a beautiful column shape. Place a small pillar candle on top of the candleholder for a warm and rustic candlelight display. 4.75" x 4.75" x 11.8" CANDLE NOT INCLUDED.